Sun Shines on Malaga Again! 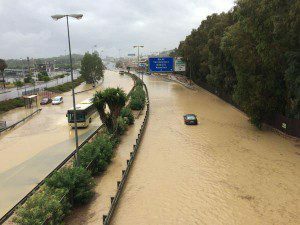 After a very rainy week start, the Costa del Sol shows its best face again to welcome all those tourists who choose to visit Malaga in September. 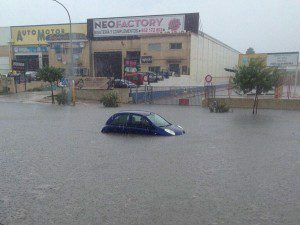 In fact, on last Monday fell more than 50 litres of water per square metre in a few hours, causing several road closures due to flooding. 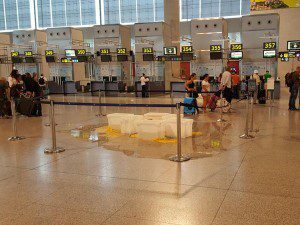 Malaga airport also was affected by the bad weather as the water accumulated by the roof triggered some leaks inside the terminal. 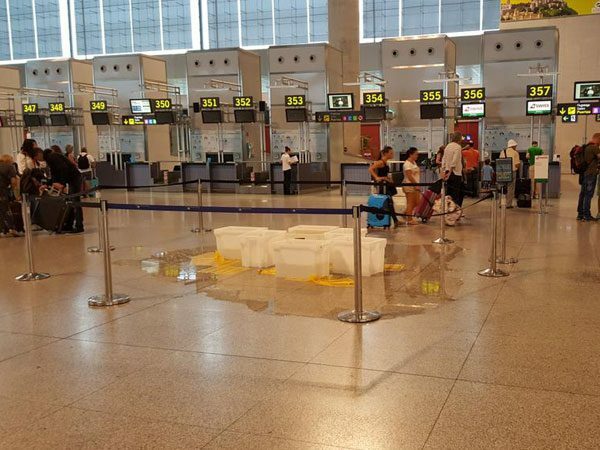 On top of that, a number of flights were diverted to other Spanish airports due to strong wind. Actually, some of our customers landed at Seville and Madrid, where airlines provided them with buses to get to Malaga. We always ask our customers to carefully check their flight details when booking online. 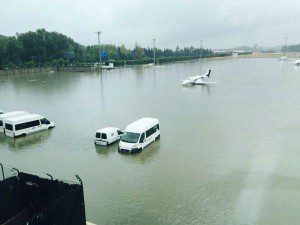 Because of that, all clients affected were able to collect their car hire at Malaga airport without further inconveniences. 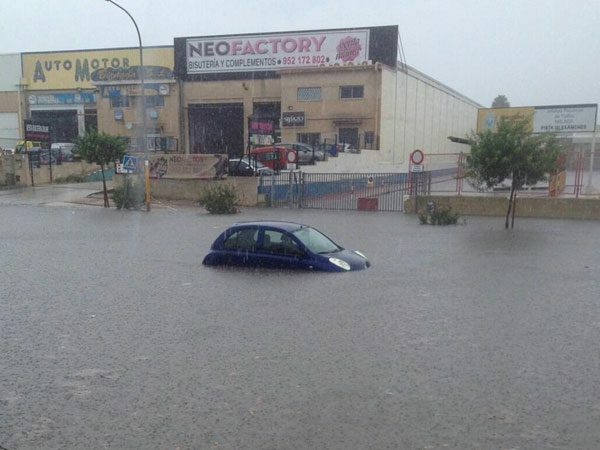 2 Responses to Sun Shines on Malaga Again! Glad the rain’s stopped, we are coming for two weeks on Tuesday. Looking for sunshine and laughter.